Don’t know what to do with your pumpkins and Jack-o-Lanterns from Halloween? Don’t trash them! We’ll help you compost them! Drop off your old pumpkins (and other plant-based fall decorations) in front of the Red Barn by the pumpkin composting sign any time from Wednesday, October 31st through 1pm on Tuesday November 6th. 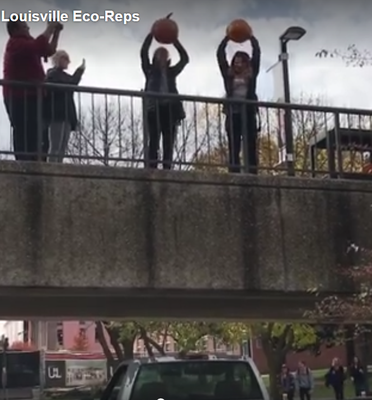 On Election Day, Tuesday, November 6th at 1pm we will have our annual Pumpkin Smash from the SAC Ramp in collaboration with the Office of Health Promotion. Join us for composting fun and Election Day stress relief!